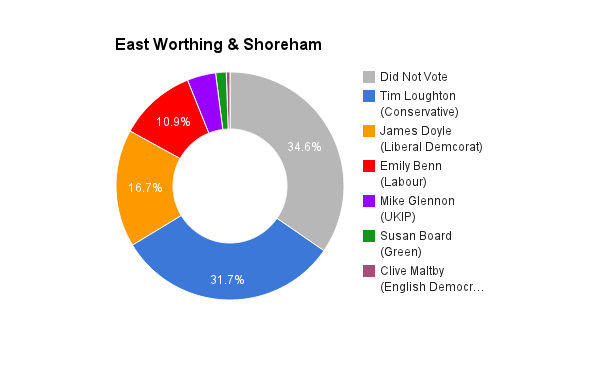 East Worthing & Shoreham is located in West Sussex in the south of England. The seat was created in 1997 and has been held by the Conservative party ever since. The current member of parliament is the Conservative party’s Tim Loughton who has served since 1997. 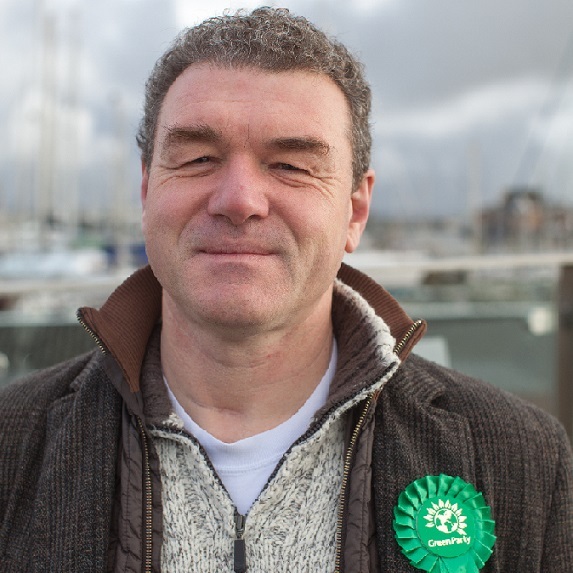 In 2014, James became the first elected Green councillor in West Sussex, winning Central ward in Worthing. James has served on both Worthing Borough and West Sussex County Councils, and was Mayor of Worthing in 2003/4. James has had a major role over twenty years in the evolution of the West Durrington development plan, and was instrumental in the reduction of the development to protect the ancient woodland along Titnore Lane. James’ priorities for Worthing and Adur are more affordable and sustainable housing; development of derelict brownfield sites; improving transport locally; promoting the local economy and supporting the development of small businesses, and promoting a living wage; and dealing with the effects of flooding along the coast and the river Adur. As a regular walker on the Downs, he wants to make sure they are protected from development and roadbuilding. James has lived in Worthing for over 25 years. He is married, and has two children. Outside politics, his interests include acting and directing in amateur theatre, especially Shakespeare, and he has appeared at local venues including The Barn at Southwick and Arundel Castle. He enjoys walking, reading, writing poetry, and watches American football. I live in the constituency, have done for 25 years, and will continue to do so if elected. All my contact details are widely available, and I will run regular surgeries in the constituency in person, and also via Skype and Facebook. I am absolutely committed to the area where I have lived almost all my adult life, and have shown that by serving on the local council for most of the past twenty years. I believe our area of the Sussex coast and downland is neglected by central government, not leats because as a safe Tory seat, there is no urgfency in providing services or support to our communities. No. The benefits have accrued only to the wealthiest, while those most in need have seen services cut, finances squeezed, and lives made harder. The government took an ecomony that was improving in 2010 and stalled it for 4 years. Immigration is an important part of our national life, economically and culturally, and I support it continuing as an enhancement to our country. We need to introduce a living wage, and abolish zero hours contracts, so people in work can earn a proper income to support themselves and their families. Housing is a major part of family bills, and we need to provide more affordable housing, reinvigorating the state housing sector. I would like to see the public service ethos returned to the NHS, with a presumption given to public rather than private provision of services, via the NHS Reinstatement Bill championed by Caroline Lucas. We need to continue to promote apprenticeships, and also invest in our education system so that people leave education with the skills and knowledge necessary to lead fulflled, happy, productive lives. Yes, and we need to reform the voting system so there are fewer safe seats, and more opportunities for wider representation. I believe we should vote to stay in the EU, as it has been a strong advocate for consumer protection, environmental sustainability, and human rights. It also strengthens our economy and protects peace in Europe.